In order to break free from addiction, drug withdrawal is a priority. There are multiple stages of withdrawal, and each is critical if your ultimate goal is sobriety. Identifying and understanding the stages of withdrawal can be key in preparing for detox and effective addiction treatment. Drug withdrawal starts with acknowledging that there’s a problem. Often, it can be very challenging to admit that addiction impacts you or someone you care about. Deciding to seek help, and opting for professional drug addiction treatment, is the first step in the right direction. During this time, patients can prepare by learning more about what withdrawal, detox and addiction rehab will consist of. This is also the time to select the right drug treatment programs to fit your needs and your lifestyle. Recovery doesn’t happen overnight, so preparing for the road ahead can be helpful. 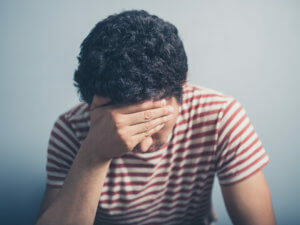 The second stage of withdrawal happens once the first symptoms appear. This can happen a few hours after the last dose, or it could happen a full day later. Ultimately, the start time will depend on the severity of your addiction as well as your drug of choice. Many patients are already familiar with these first withdrawal symptoms. That’s because trying to cut back on drug use, or skipping a dose, will often result in similar side effects. The difference is that in treatment, patients continue to push through the discomfort in order to break the chemical dependency once and for all. If the second stage is an introduction to withdrawal symptoms, the third stage is when the symptoms begin to increase in strength. Often, this stage begins around 24 hours after the last time you use drugs. For many patients, this is the beginning of discomfort. The fourth stage of withdrawal is a double-edged sword. On one hand, this is the period where symptoms climax and are at their strongest. On the other hand, this is a sign that detox is coming to an end. As the symptoms peak, patients may feel very uncomfortable. However, this is also a time when medical professionals in a rehab facility can offer helpful resources. Everything from sedatives to painkillers to IVs with electrolytes can reduce pain and make a difference in comfort levels. Most importantly, these medical professionals will be on hand in case any symptoms become more serious and demand emergency medical attention. Once withdrawal ends, a week or two after it starts, patients can begin to focus on maintaining their newfound sobriety. This will often require a long-term treatment program and a range of therapies. One of the biggest threats of relapse, however, is post-acute withdrawal syndrome, or PAWS. PAWS may appear weeks or months into recovery and typically includes some of the original withdrawal symptoms as well as strong cravings. Fortunately, knowing what PAWS is and properly preparing for it can make it easier to resist cravings and remain sober. There’s no denying the challenges that drug withdrawal creates. However, quality facilities like 1st Step Behavioral Health can help you through every stage of the process. Call 866-319-6126 to regain control over your life and your future. Despite the fact that 1stStep Behavioral Health Center provides full support to a recovering drug abuser with its long-term treatment programs, a patient’s awareness of the PAW phase is critically important as well. As we mentioned before that having sufficient knowledge of PAWS is extremely helpful when it comes to preparing for the withdrawal symptoms and resisting cravings. This is one of the reasons why therapists at 1st Step Behavioral Health Center encourage patients to explore as much as they can about post-acute withdrawal syndrome. Here we have included some details. What is Post- Acute Withdrawal Syndrome? Post-acute withdrawal is one of the stages of drug withdrawal. The first stage that we have already mentioned in the discussion above is called the acute stage, which lasts a few weeks. At this stage, abusers experience some physical withdrawal symptoms that may vary from person to person, depending on the type of drugs he/she was taking. Post-acute withdrawal is basically the second stage of this phase. It has fewer symptoms, but may have severe psychological and emotional impact on the person. These symptoms appear when your brain chemistry returns to its normal state. As the levels of these brain chemicals improve, they fluctuate in order to reach equilibrium. This is when most people experience post-acute withdrawal symptoms. How can You Survive PAW Symptoms? As PAW itself is one of the symptoms of withdrawal phase, it needs to be tackled smartly. It usually appears after some weeks of the recovery stage. Some people may experience intense symptoms, like irritation, low energy and lack of confidence, during this phase. That is why our therapists consider inpatient treatment for PAW to help patient stay motivated to overcome the symptoms. Here are few tips to survive this phase. Be Patient: Easier said than done; we definitely agree with you. There is no denying that this struggle is real, but keeping yourself calm is the key to win this battle. In other words, try not to rush your recovery. Keep in mind that you will get through this phase one day. Bulldozing your way through this phase will make you exhausted. And once you’re exhausted, you will probably try to escape. Remember that PAW is a sign that you are heading in the right direction and recovering. Therefore, do not give up. Practice Self-care: It is the time to take much needed breaks over the coming years. To survive PAW symptoms, you need to treat yourself the best way you can. This is your recovery phase so try to be enthusiastic about beginning a new phase of your life. PAW may surprise you with its inconsistent episodes. That means during recovery phase, it is possible that you won’t go through any symptoms for weeks and then suddenly they will you hit hard. You may have severe mood swings; it may enervate your energy, leaving you stressed and hopeless. Be prepared for this phase and remember that it won’t last a long time, even if it catches you off-guard.